Sennheiser and Neumann will expand their live performance and monitoring portfolios at NAMM 2017 with the introduction of several new products. Visitors to Hall A, Booth No. 6577, will be the first to see the Sennheiser XS Wireless 1 and XS Wireless 2 radio microphone series, as well as the Neumann KH 80 DSP monitoring loudspeaker. Sennheiser will also be launching the new HD 200 Pro headphones, alongside new frequency variants for the evolution wireless 300 G3 and 500 G3 series for the USA and Canada. NAMM 2017 will see Sennheiser launch XS Wireless 1, a series of six wireless microphone sets for the budget-conscious user looking for exceptional ease of use and fast set-up. The audio specialist will also preview XS Wireless 2, which will become available later in 2017 and take the benefits of XSW 1 further. Also, the renowned evolution wireless 300 G3 and 500 G3 series will be expanded with new A1 frequency variants (470 to 516 MHz) for the USA and Canada. Sennheiser will also be launching the new HD 200 Pro headphones. Neumann will launch the brand new KH 80 DSP monitor loudspeaker, which employs digital signal processing to ensure a new level of sound neutrality independent of the surroundings. The upcoming Neumann.Control app will automatically calibrate the speaker system. 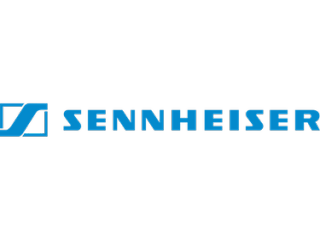 Sennheiser will also be helping users explore thepossibilities of its AMBEO technologies with a focus on its AMBEO Music Blueprints website. This resource helps users learn how to record, mix and deliver live music as an immersive 3D audio experience. There will be daily Blueprint demos at the booth, taking the audience through the workflow recommended to create 3D music for headphones (AMBEO for Binaural), for VR content (AMBEO for Virtual Reality) and for 9.1 loudspeakers (AMBEO for loudspeakers). The AMBEO area will showcase its AMBEO Music Blueprint microphones, namely the Neumann KU 100 dummy head, the AMBEO VR mic and the Sennheiser MKH 800 Twin. Recording microphones include the Sennheiser MK 4 and MK 8, the Neumann classics U 87 Ai, U 47 fet and M 149 Tube, as well as the recent TLM 107, TLM 102 and TLM 103, the latter also being an excellent choice for the home studio. Sennheiser will also be presenting mobile recording microphones designed in collaboration with Apogee Electronics. Besides the ClipMic digital and MKE 2 digital for iPhones, the most prominent member in the line is the new MK 4 digital for high-quality music recordings on iOS and USB devices. Meanwhile, for GoPro users, Sennheiser’s upcoming microphone for GoPro HERO4 cameras, the MKE 2 elements promises to add breathtaking sound to the exciting footage delivered by the HERO4. Besides the new HD 200 Pro, professional headphones on show include the HD 380 PRO, HD 280 PRO, HD 6, HD 25 and HD 25 LIGHT. Neumann is a sponsor of the fifth annual She Rocks Awards at NAMM, organised by The Women’s International Music Network (WiMN). Paying tribute to women who stand out within the music industry, the awards celebration will take place on Friday, January 20 at 7p.m. at the Anaheim Hilton Hotel. Sennheiser and Neumann are looking forward to the prestigious NAMM TEC Awards, which will be held on Saturday, January 21. While Sennheiser was nominated for its Wireless System Remote (WSR) application, the HD 25 PLUS professional headphones and the new evolution wireless G3 systems in the A1 band for the USA and Canada, Neumann received a prestigious nomination for its ‘Neumann in the Home Studio’ educational microsite. A special honor for the studio specialist: The venerable Neumann U 67 tube microphone will be inducted into the TEChnology Hall of Fame, which recognizes audio products and innovations that have made a significant contribution to the advancement of audio technology.